iGarment system is a total ERP solution that specially designed for the garment and textile industry to streamline their business operations starting from show room and sampling to color and size management, from BOM (Bill of Material) to costing sheet and order processing such as Sales Order, Purchase Order, Invoice and Packing List, from material requisition planning(MRP) to order and production monitoring with WIP (work-in-progress), etc. Adopting this system for your business will greatly improve your efficiency, productivity and competitiveness in fast-paced, modern world of business. iTrader provide a Show room module in tree view and traditional search view, also Show room module can be integrated with Barcode label in your Show room, So when a client goes to your showroom, you can quickly retrieve all product information with a barcode gun. It can also acts as a showroom to illustrate your product. After your clients have a cup of tea, you can generate the quotation immediately. Sampling module will help to follow up and track the sample you have sent to customer. Costing module will help to calculate the exact cost for new develop style on order base. Other related cost such as finance cost, duty and tariff, CM cost can be taken into consideration. Color chart provide the indication which color is involve in this cloth. Besides, color of every part of cloth would have a clear table. Some cloth would be classified into S, M, L, but some of country would use 40,42, 44 instead. iTrader provide a flexible size input. You can get an obvious size chart. iGarment would provide a standard garment measurement. However, if your company would like to have a unique measurement table, we would provide a flexible table that you can enter all your needs. A special design interface for user to input Color and Size breakdown information for each style in order processing module such as Sales Order and Packing list. 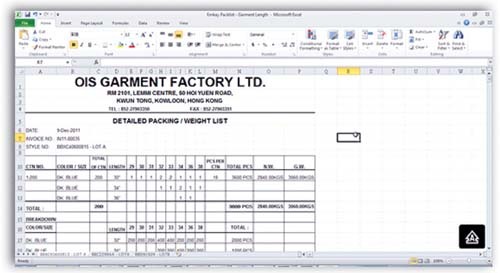 With iGarment color and size information will be able to present in complex table format in all printing document such as Sales Order, Purchase Order, Invoice and Packing list, Complicated excel format such as one style per sheet with special color and size breakdown and summary table will be able to create seamlessly with our iGarment system. 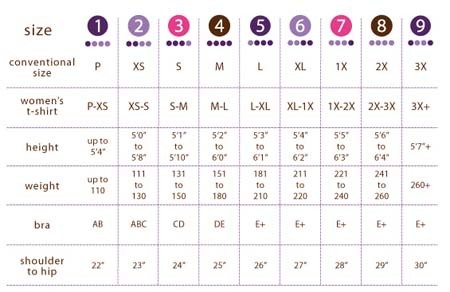 Due to the complicated material planning task for Garment business each style require numbers of fabric of different color to produce and also different size and color combination will require different quantity of accessories like label, hangtag and zipper in all very precise quantity. iGarment system BOM module help user to define the exact quantity required to produce for one unit for each style and our special color and size matching function for example Black body color will require white sleeve and Blue body color will require red sleeve or XL size will require size 10 zipper etc. According to the color and size break down in Sales Order iGarment system MRP module will automatically calculate and determine the exact require quantity to produce for the require quantity with specific color and size breakdown.